I thought I would align my annual post about sun safety with Monday's release of the EWG's Annual Sunscreen Guide. Over the past several years, there has been a very active–and necessary–campaign convincing the public to wear sunscreen daily in order to prevent damage from the sun’s UVA (skin aging) and UVB (skin burning) rays. Wearing an effective sunscreen on a daily basis is something that can not only prevent burning, but it can help prevent skin cancer. According to the American Cancer Society, there are anticipated to be more than 76,000 new cases of melanoma this year, a number that continues to rise each year at an alarming rate. According to Allan C. Halpern, MD, Chief of the Dermatology Service at Memorial Sloan-Kettering Cancer Center and a Vice President of The Skin Cancer Foundation, more people are getting checked for skin cancer and he says that he believes "that part of the increase in incidence is due to greater awareness of melanoma." In addition to skin cancer, a majority of skin’s premature aging and damage can be linked to sun exposure. If you get an up close look at the skin of those who do not wear sunscreen or who go to tanning beds (please don’t! ), you most likely will notice brown spots, uneven texture and tone, more noticeable fine lines, and wrinkles. I know so many people equate a tan with good health. People will argue that having a tan will make you look thinner, younger, healthier, etc. A tan, though, is evidence of skin damage rather than good health. I am super fair. I burn very easily. Any natural “tan” I get comes a couple weeks after a painful sunburn. I am all for having a bronze glow. I don’t want to put on shorts or my bathing suit and see porcelain legs anymore than most of you do. I wear sunscreen and any tan I have comes from a bronzer or self tanner. THERE IS NO SUCH THING AS A SAFE TAN unless it comes from a bottle and is applied to skin that has been protected with sunscreen. "Base tans" are dangerous. Period. I really believe in my heart of hearts that wearing a natural sunscreen is one of the single most important things we can do for our skin. There is so much credible evidence out there that advocates the importance of wearing sunscreen. I live in Upstate New York where it is cloudy for much of fall through spring. 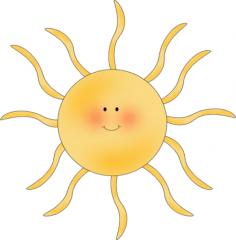 I do not avoid the sun altogether, though, because there ARE benefits-- a more uplifted mood in many cases as well as the benefits you get from Vitamin D.
That said, I do take care to protect myself against the UV rays. I wear my sunscreen even in January’s cloudiest days--and there are many of those days in this neck of the woods. Avoiding harmful ingredients when it comes to sunscreen, though, can be very difficult. There are some toxic ingredients used in sunscreens and it is up to the consumers to read the ingredients list and know what it good and what is not. I want to provide you with a simple guide to choosing the best sunscreen for your family. *Making sure that a sunscreen's UVA protection is sufficient is very important. Both UVA and UVB rays are harmful, but UVA rays are generally more harmful because they penetrate deeper into the skin and can cause the cell changes that are linked to cancer. *Do not choose sunscreen sprays. While I realize that a spray can be quick and convenient, you end up inhaling what is in the product and this can be harmful to your health. Most sprays also contain artificial fragrance, another health hazard linked to asthma and other health issues. 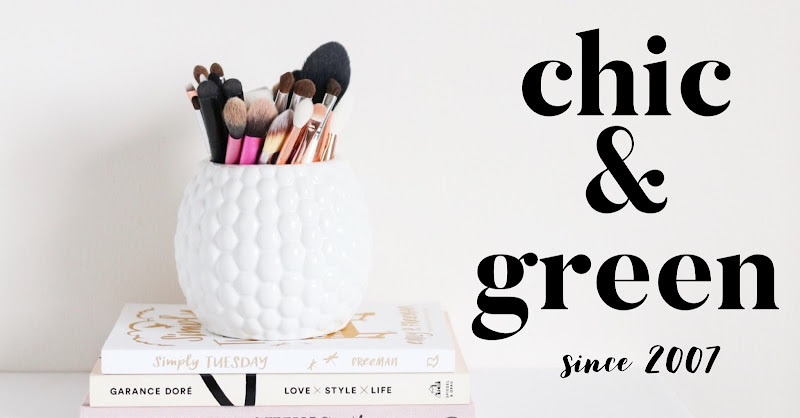 Yes, it may take a bit longer to apply and thoroughly blend in, but you do not want to sacrifice good health and adequate sun protection by choosing the wrong formula. *Avoid sunscreens with oxybenzone. This is a synthetic estrogen and some believe it can be carcinogenic. *Also avoid using sunscreens with Vitamin A. If the label doesn't say "Vitamin A", look for its derivative Retinyl Palmitate. Why? We know that Vitamin A can be anti-aging--that is why retinol products are so popular. However, retinyl palmitate may speed tumor growth. This makes sense because we know that Vitamin A makes your skin more sensitive to the sunlight. That is why you should only use retinol products at night. *If you see a product with a label of higher than SPF 50, be suspicious. I have seen products at the store claiming to be "SPF 100+." That sounds super protective, doesn't it? It isn't. The FDA says that numbers beyond SPF 50 are misleading. This gives people a false sense of safety and often makes them think they can stay in the sun all day long. The reality is that higher numbered sunscreens really are NOT more effective! 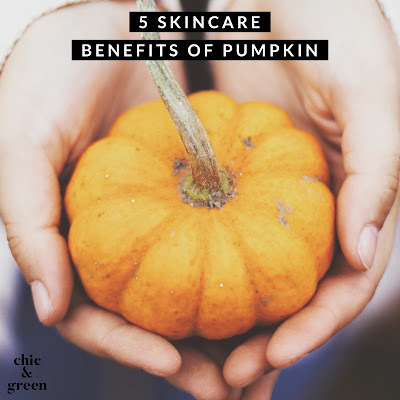 You may see a product on the market with an SPF of 50, but in reality that may be MUCH LESS EFFECTIVE than a natural mineral sunscreen with an SPF of 15 or 20 that also provides BROAD SPECTRUM protection, which is what you need. *Mineral sunscreens are best. Look for products with zinc oxide. These are generally a safer option because they are what is known as a physical sunscreen. Zinc oxide provides the best protection against UVA rays. Zinc oxide is also STABLE, which is important. Myth #1: Natural sunscreens are all thick and hard to rub in. Natural sunscreens generally are thicker than their chemical-laden counterparts. However, the most natural sunscreens these days are fortified with emollients such as olive oil, jojoba oil, grapeseed oil, shea butter and more. These not only moisturize the skin, but they absorb beautifully into the skin. Myth #2: Natural sunscreens leave a white film behind on the skin. This is not always the case. When natural sunscreens first came on the market, they were usually formulated solely around zinc oxide. This is the ingredient that blocks the sun's rays, but it also can leave that white residue. Products are being formulated to still protect the skin naturally, but also be more user friendly nowadays. Look for a titanium dioxide/non-nano and zinc oxide blend. Myth #3: Natural sunscreens do not protect your skin as well as traditional sunscreens. Not true. As long as you use the recommend amount, natural sunscreens will work just as well as chemical sunscreens. By the way, this applies to all sunscreens. If you're not using the proper amount, they won't work as well. If you do not reapply as recommended or fail to reapply after swimming, they also will lose efficacy. Myth #4: Natural sunscreens are too expensive. Natural sunscreens generally are more costly than drugstore chemical-filled and potentially harmful sunscreens. This is true. What is so important to remember, though, is that a good sunscreen is going to be your best anti-aging product. Since much of aging can be attributed to UV damage, sunscreen is imperative. Most people will not hesitate to spend quite a bit of money on a night cream or serum or on a handbag or shoes. In fact, I know of people who will spend $250 on a handbag, but do not want to spend the money on an effective natural sunscreen. Think of it this way: you only have one skin. It should only make sense that you take care of it. Sunscreen can help prevent skin cancer AND help prevent the signs of aging. Not many products can say that! Myth #5: Natural sunscreens are hard to find. This used to be the case. Not anymore. As people become more and more aware of the importance of sun protection and harmful ingredients, more and more natural sunscreens are hitting the market. 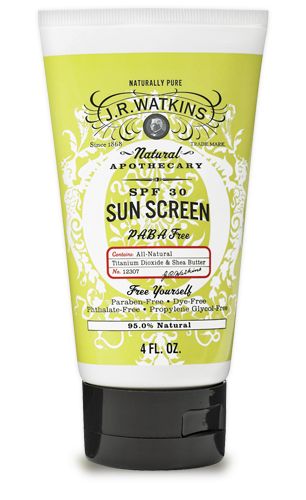 You can find natural sunscreens with ease now at Wegmans, drugstores, and mass merchadise stores like Walmart and Target. I also would like to address some things I have read from people who take the idea of natural ingredients to a whole other level. You know I am very cautious when it comes to ingredients I use on my skin and my boys' skin. I don't use parabens, petrochemicals, phthalates, formaldehyde-releasers, or artificial fragrance to name a few. HOWEVER, I also am realistic. While all-natural is GREAT in most cases, it isn't always the answer for everything. Chances are your friend told you, another blogger told you, or your holistic-minded Aunt Betty told you -- "Coconut Oil is a natural sunscreen." Or perhaps, "Olive oil and shea butter are natural sunscreen." Folks, this is NOT--I repeat, NOT true. These natural oils may (I say MAY) contain very minor sunscreen properties to a certain extent, but they do NOT provide any UVA protection. They only can very mildly protect against UVB rays. This is because of the cinnamic acid found in shea butter, which anectdotally has been shown to provide some level of protection. Please check out the newly released 2013 GUIDE TO SUNSCREEN from the EWG. It lists the best natural sunscreens on the market. What am I using now? I also rely on Jane Iredale to protect my face. I use Jane Iredale Amazing Base on my face each day this time of year, with a few spots on uneven tone of the Glow Time BB Cream. Both provide broad spectrum protection and have kept my face completely sunburn free. 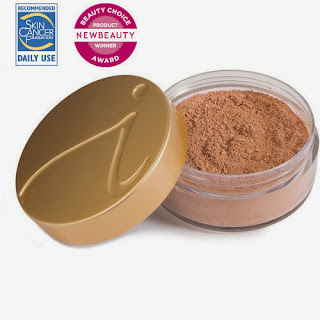 Click here to shop Jane Iredale. 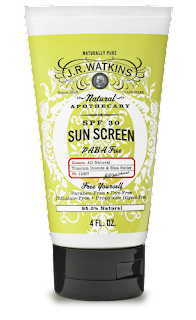 J.R. Watkins Sunscreen SPF 30 is great -- and it is only $11.99. 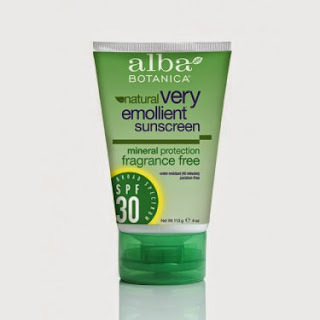 The one I use on my boys is Alba Botanica Very Emollient Sunscreen SPF 30 Fragrance Free. It is under $10 as well!